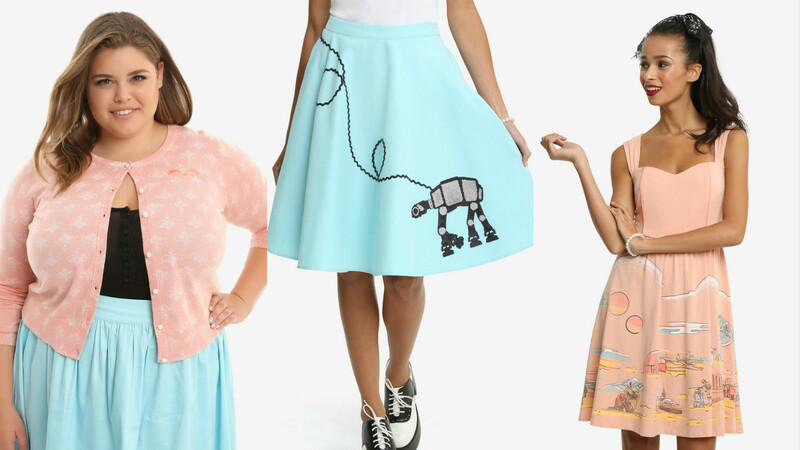 Whether you’re getting ready for the big dance this weekend or just want to look absolutely , HerUniverse has just released the most perfect collection: a ’50s-inspired Star Wars collection. 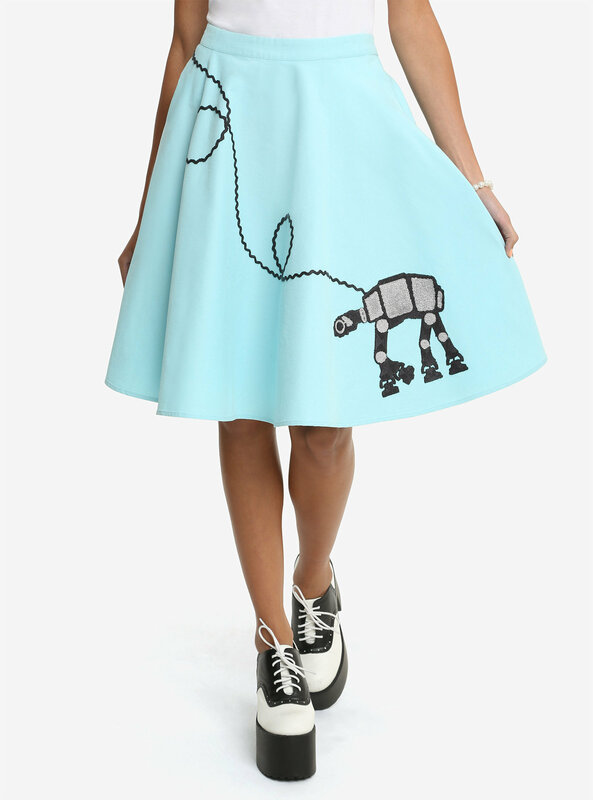 If you’ve ever wanted an AT-AT poodle skirt, now is the time. HerUniverse, the lifestyle brand behind so many of our favorite fun and geeky things, has just debuted a brand new collection, themed around things retro. Think, like, if Audrey Hepburn were big into Star Wars and wanted to wear her fandom every day of the week. This collection was first teased back at Star Wars Celebration Orlando in April and has just made its big debut. 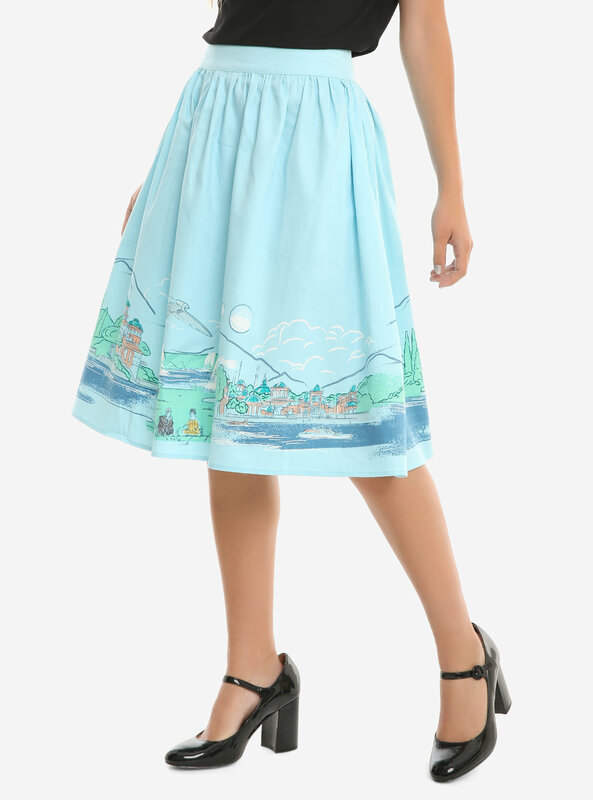 Currently, there are poodle skirts, cardigans, and a sweetheart dress (and hopefully there are more to come, as there is one MIA design that I will literally spend a million dollars to own). Buy here, in regular and plus sizes. You can shop these and so many more styles over at HerUniverse.